Angela joined Rutherford + Chekene in 1998. She has helped establish and currently manages R+C's Building Systems Group (BSG), which focuses on seismic bracing of MEP distribution systems and equipment anchorage, tenant improvements and complex remodels. Her work involves a wide range of client types—owners, general contractors, subcontractors and architects—clients who have projects that emphasize early coordination across disciplines for significant schedule and constructability improvements. Angela collaborates with contractors to meet their goals of reducing waste, increasing installation efficiency, and minimizing cost and timelines. She works often as project manager on R+C prime projects, where overall project oversight, schedule and budget monitoring, and coordination of consultants is essential. Angela has managed numerous assignments, many requiring expert knowledge of OSHPD regulations. 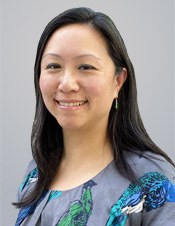 Her most recent projects include the new Kaiser Permanente Medical Center in Redwood City and the San Francisco General Hospital Plant Building NPC-4 nonstructural upgrade.